I was sent a sample tankard from BuyATankard.com to take a look at. It arrived in a nice presentation box and it's very shiny. Mine has an Irish style harp on the front, not something I would ordinarily pick myself but that's fine. It looks like stainless steel but appears to be pewter from what I can gather. 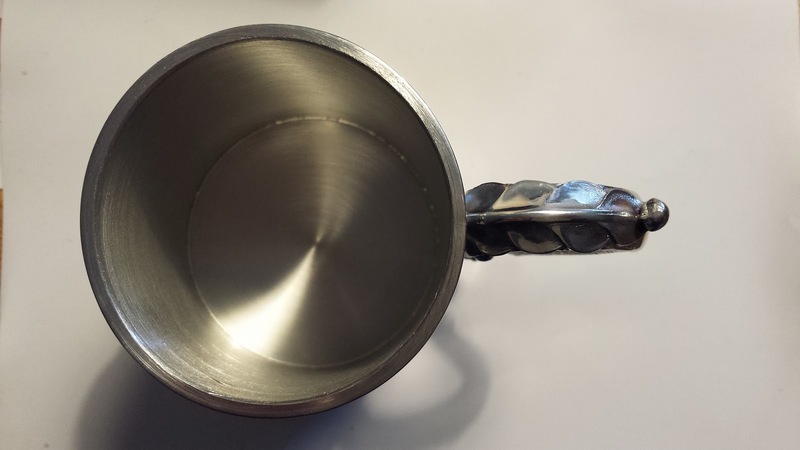 Modern pewter doesn't contain lead so it's perfectly safe to drink from. I can now be a proper beer geek at festivals and clip my pint sized tankard to my belt. When I find a beer worthy of a full pint, I can unclip it and have it filled up. I will either look really cool or really stupid. Buyatankard looks to have a massive range of tankards ranging from plain and shiny to tankards with elaborate designs and they also do custom designs and engraving. Personally I like the look of the plain tankards more than the designed ones. 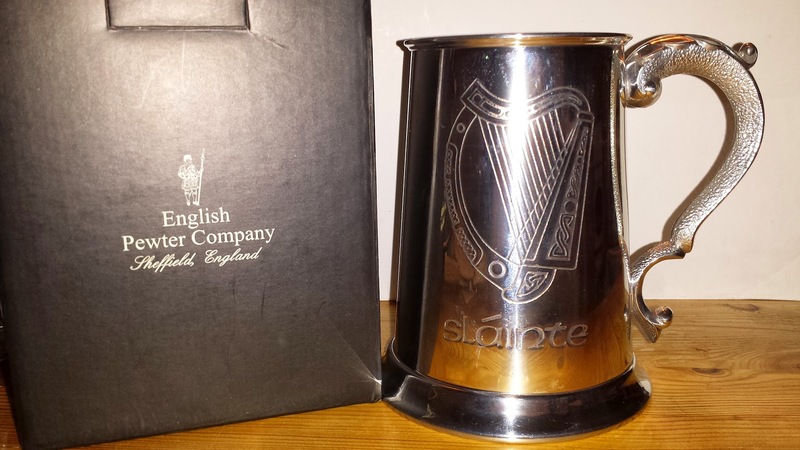 The good news is that Macdonald Sporrans, who are behind buyatankard.com are giving away a tankard up to a value of £40stg to one lucky winner. This should allow you to pick a tankard and add some personalised engraving too. The competition is open to everyone and will be shipped worldwide. I'll simply pass the winners details on to my contact to arrange. To win, you must answer all three questions correctly. A random winner will be picked and announced Friday afternoon. The closing date of the competition is Friday at 12 noon GMT. How long does it take for a custom engraved tankard to be dispatched from buyatankard.com? What was voted the Beoir beer of the year 2014? Update: A random number generated the number 2 so I picked the 2nd entry that came in and that has given me the winner. Not the most technical way of doing things but it works fine. The winner is : Thomas Carroll who got all three questions correct.